The United Nations day is observed annually on October 24th , but last Saturday there was a global celebration to mark the 7Oth anniversary of the organization. Ahead of the UN day, the Secretary General, Ban Ki-moon, launched the global campaign “Turn the World UN Blue” to honor the blue flag of the UN, “the only flag that belongs to all of us”. Nearly 60 countries participated, lighting blue their iconic monuments, buildings, museums, bridges and other landmarks. In Brazil, the show of support of the UN values and principles could be seen at the “Statue of Christ the Reindeer”, in Rio de Janeiro, the “Bandeiras Monument” in São Paulo or the “Lacerda Elevator” in Salvador. 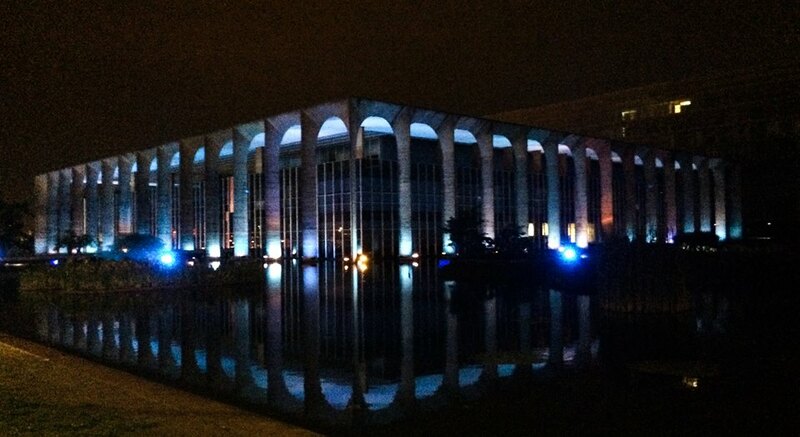 But the lighting of “Palácio Itamaraty”, in Brasilia, had a special significance, not only because it is the headquarters of the Brazilian Chancellery. The visual effect created by the blue reflection of its arc façades at the surrounding pool stands out as one of the postcards of the UN campaign. Also known as the “Arc Palace”, this massive composition of steel, concrete and glass is a Oscar Niemeyer’s masterpiece, inaugurated in 1970. 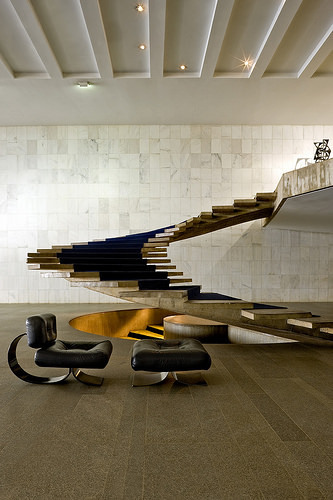 It represents the talent of modern Brazilian architecture and its defining role at molding an idea of a country that imposes itself through elegance and simplicity. 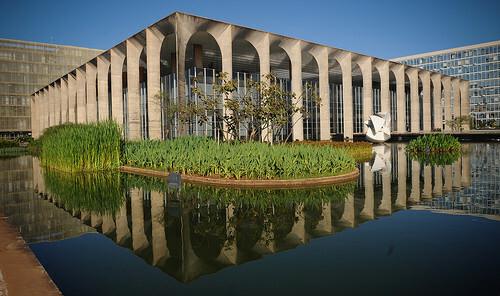 From the equilibrium between the four identical façades to each detail, the palace also expresses ideas and values that guide the Brazilian diplomacy. 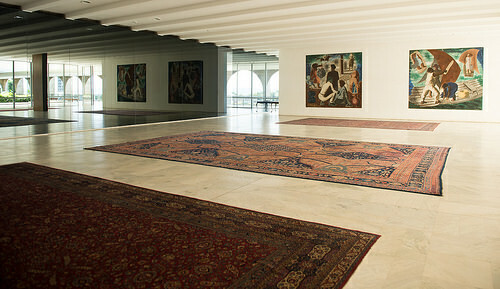 Indoors, its wide spaces are decorated with paintings, sculptures and furniture of major Brazilian artists – traditional, modern and contemporary . 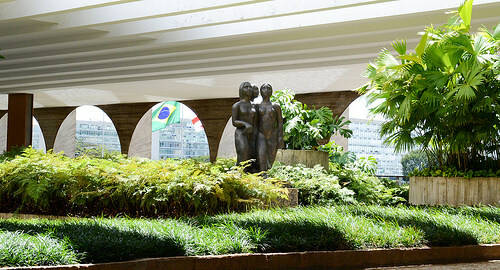 Outside, the landscaping is the work of Roberto Burle Marx, who brought over 80 species of tropical plants from the Cerrado and the Amazon to the reflecting pool and its surroundings.